- Support for iPhone Xs and iPhone Xs Max. - Support for Apple Watch Series 4. - New complications for Infograph and Infograph Modular watch faces. 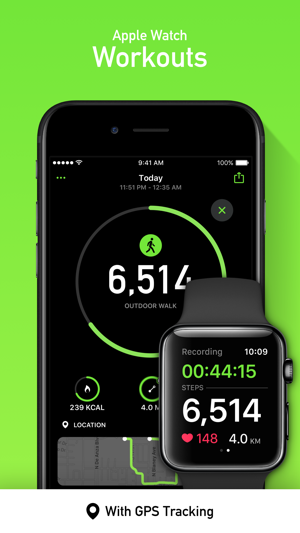 - Start workouts directly from your Siri watch face. - Control workouts with Siri voice commands. 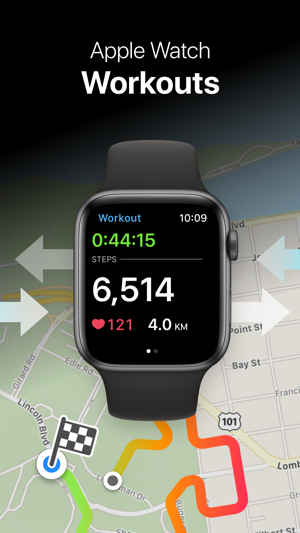 - Workout GPS routes and heart rate info are now stored in Apple Health and can be viewed in the Activity app. - Apple Health import now works more reliably. 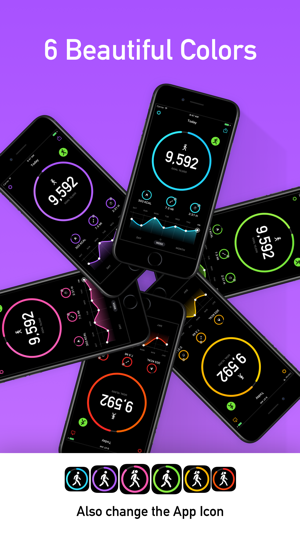 If you enjoy StepsApp, would you mind taking a moment to write a review on the App Store? I love this simple and beautiful app! I really love this app- easy to use, simple, and very well designed! I love the different views- daily, weekly, monthly - makes it easy to track my progress across a long period of time, and helps motivate me to do more. Since downloading this app I've used it everyday. The best part is I don't have to "turn it on" to use it- it just starts recording steps on its own. I always have my phone with me anyway, so tracking my steps with my phone is an added benefit- and made very easy and intuitive with the StepsApp!! **Update** I've been using this app for 7 weeks now and I still LOVE it!! Seeing my number of steps each day makes me want to push myself to do more. Great app!!! **Update 2** I've now been using this app for 8 months and I still LOVE it. I use his app everyday and it's helped really push me to exercise much more this year than I would've w/o it. Very reliable and user friendly app and I highly recommend it to anyone who wants to improve their fitness. **Update 3** I've now been using this app for 15 months and I still LOVE it and use it everyday. This app has really helped me improve my fitness level over the past year and it's great to be able to see the tremendous progress I've made from a year ago. Thanks again to the developers for a fantastic app! My family mostly uses a Fitbit and I didn't have one because I don’t like wearing things around my wrist and this app doesn’t make me put something around my wrist. I downloaded the app for free half a year ago and so ever since then the app really kept me motivated because I like the sense of pride and reaching step, calories, mile, and hour goals give me that sense of pride I love. I eventually “bought” the pro version of the app and I am more addicted to the app I had ever been. I really love how efficient, simple, and easy to use. It is also visually pleasing to me and love the 6 different colors. 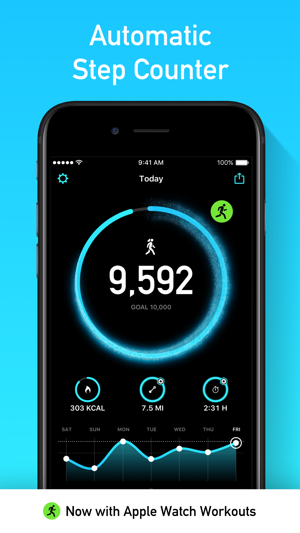 I honestly would say this app is worth more to me than any other step count app or brand. It’s so easy and cheap. I love this app so much. Even my friend was interested in it and showed her what the app does for free and the perks of the pro version of the app. 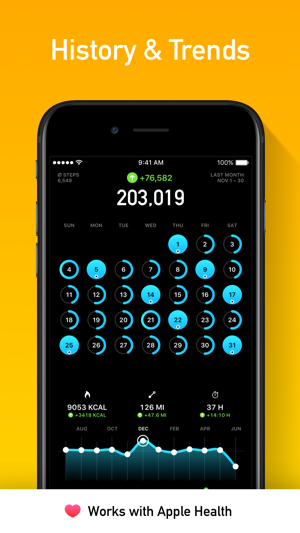 If you’re looking for a step counter that is easy, efficient, simple, visually pleasing, and cheap I recommend this app to you! I have been an avid Fitbit user for the last 2 years. But I had a problem with the wristband and whilst having it fixed, I figured I should get a step counter on my phone, something to use in the interim. I am however proud to say I haven’t gone back to my Fitbit ever since. Steps App has done a brilliant job of keeping track of my step counts (and even better it doesn’t do that annoying thing Fitbit does when sometimes the band can’t tell whether you are walking or you are in a cab. 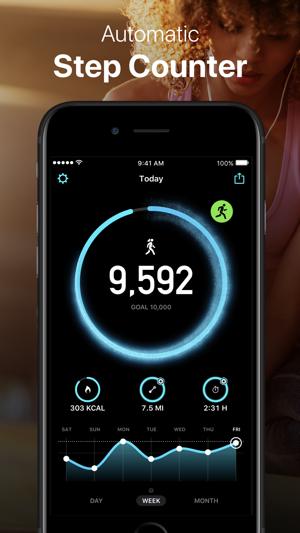 This app only counts the actual steps you take). 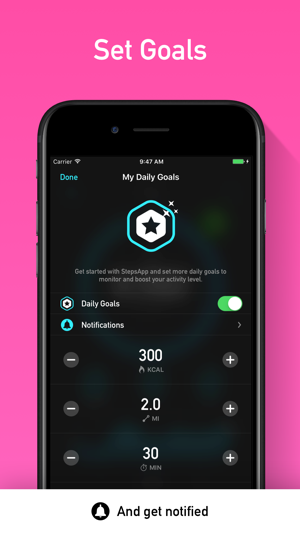 I love how I can set goals for my steps and the stairs I want to climb, plus the amount of activity I want to do. I even love how it also registers the calories I am burning when I walk, and how accurate it is to. Using Steps has been a wonderful experience and I totally recommend it to anyone else. Also, you get most of the nifty features with the free version. But I love the change of colour the pro gives me.